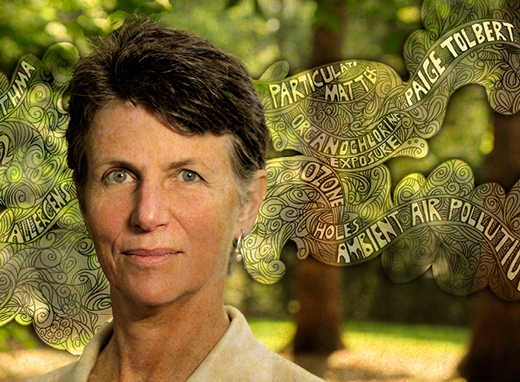 Emory researchers are gathering evidence to help us mitigate environmental impacts on health. The roads serving the two areas—like the regions themselves—couldn’t be more different. One is a network of multi-lane interstate highways that surround and bisect a metropolitan area of more than 5 million people in North America. The other is an asphalt highway intersected by dirt roads that, when the weather permits, provides the only non-river link between 125 villages in a remote area of South America. Yet the congested highways of metro Atlanta, where local commuters and interstate haulers compete for space, and the first paved road along coastal Ecuador, where freshly cut timber moves from forest to market, share an important trait: besides providing the economic foundation for both regions, these man-made advancements alter the ecosystems and public health in ways that science is only now coming to understand. Both regions, it turns out, also provide fertile ground for researchers at Emory’s Rollins School of Public Health (RSPH). They illustrate the scope of a department that has moved aggressively into what is best described as public health ecology—the study of how human behavior impacts the planet as well as human health. Understanding this relationship could go a long way toward informing policy decisions about the price of development as well as safeguarding personal and public health in the future. The practical impact of these studies could lead to early detection of man-made toxins in the body that are linked to Parkinson’s disease and new forms of sanitation that use less water in undeveloped regions of the world. Building on work that goes back to the mid-1990s, researchers at the RSPH and Georgia Tech recently won a five-year, $8 million grant from the Environmental Protection Agency to establish one of four national Clean Air Research Centers. They will be looking at the impact of poor air quality on health, ranging from effects such as low birth weight in babies to cardiovascular disease in adults. Earlier research on Atlanta traffic drew from measurements of ground-level ozone (found in smog) and particulate pollution (found in haze, smoke, and dust) as well as patient reports from emergency rooms in the metro area. That work established a link between Atlanta’s air quality and increased risk of attacks for people suffering from asthma, especially children. In the new center, one project will assess whether Atlanta’s commuters may be putting their health in jeopardy in small, subtle ways while making their daily 25- to 30-minute trip to work every morning and retracing their routes home. Other center work will examine whether exposure to air pollution in utero and in early childhood is related to subsequent illness in children as well as an investigation of how the findings in Atlanta apply to other cities. 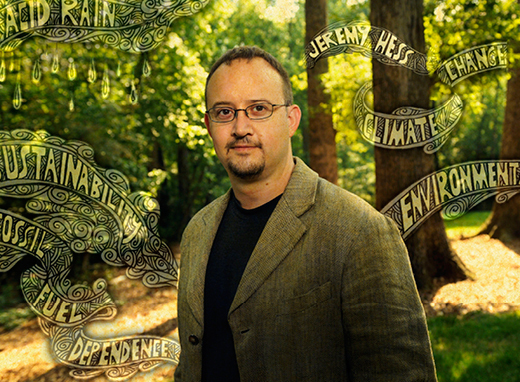 While Tolbert is bringing the air quality in Atlanta down to street-level science, another faculty member in environmental health is examining the broad impact of climate change on health. Jeremy Hess, an emergency medicine physician at Emory University and Grady Memorial hospitals, routinely pores over color-coded maps of the globe, looking at climate patterns that impact heat waves, floods, hurricanes, and other extreme conditions. He studies the corresponding demands these weather events place on public health and safety systems. For example, Hess has studied periodic heat waves that havehit major American cities over half a century, from 1956 to 2005. During an average summer, some 400 Americans succumb to heat—accounting for a greater number of climate-related deaths each year than any other form of extreme weather. Yet little public attention is focused on the health impact of heat compared with hurricanes, tornadoes, floods, and other extreme weather. Moreover, when Hess and collaborators at Georgia Tech and CDC probed deeper into the U.S. fatalities, they found that extreme heat events over time were much more likely to happen in urban areas characterized by sprawling residential and commercial development than in more compact, high-density cities. Given that climate experts believe the number of days for extreme heat will increase significantly in the decades to come, Hess says that urban planners should consider strategies that preserve regional green space, planting more trees along roadways, and using more reflective surfaces on roads, buildings, and rooftops. They also could plan to rely more on mass transportation, walking, and bicycling. “We’ll have to look at our whole approach to public health as we adapt to climate change,” Hess says. 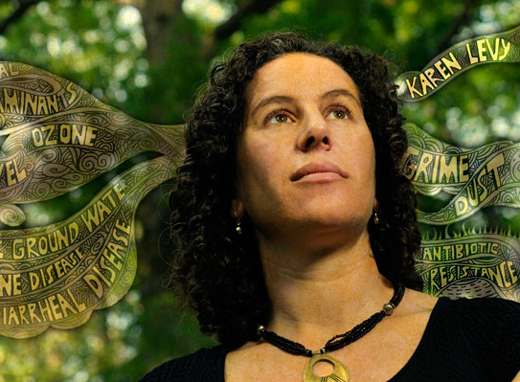 When Karen Levy was a PhD candidate at the University of California-Berkeley, she was part of a team that focused international attention on the impact of water-borne disease resulting from a new roadway in northwest Ecuador. Now at Emory, she and her collaborators have established that the highway and unpaved roads that connect to it have so altered the region that people there face increased risk of enteric diseases—including diarrhea, a major cause of death in Ecuador. Her most recent project involves the spread of antibiotic resistance as major timber-cutting companies buy large chunks of privately held land and inhabitants move from harvesting small stands of trees to raising chickens. Levy believes there must be a balancing act between economic development and how that development alters the climate and public health. Is commuting harmful to your health? Solodky is one of 100 participants to take part in a study by Emory and Georgia Tech researchers that measures how commuting in Atlanta impacts the health of the commuters themselves. Using sophisticated air analyzers and other instrumentation developed at Tech, the Atlanta commuting study measures what pollutants drivers are exposed to inside the car. Participants go through a two-hour commute in the morning and again in the evening on two different days, driving along “scripted” routes provided by the researchers. Most of the time, they drive on Atlanta’s busy interstates, although they also traverse some surface streets. Each participant also undergoes a battery of tests—including blood gas and other cardiovascular measurements—the day before their commute and again after finishing their afternoon drive. The information gathered on how specific pollutants affect the drivers—and under what circumstances—can help inform discussions about traffic patterns, highway expansion, land use, and health, says Jeremy Sarnat, an environmental health expert and the study’s lead investigator. Shahed Iqbal, an epidemiologist in the asthma branch of the CDC who is also a study participant, more closely resembles the average Atlanta commuter. He drives about 30 minutes each way every day from his home in Norcross to his office in Chamblee. While his participation in the study is unconnected to his work at the CDC, he was intrigued by what the Emory researchers are doing. 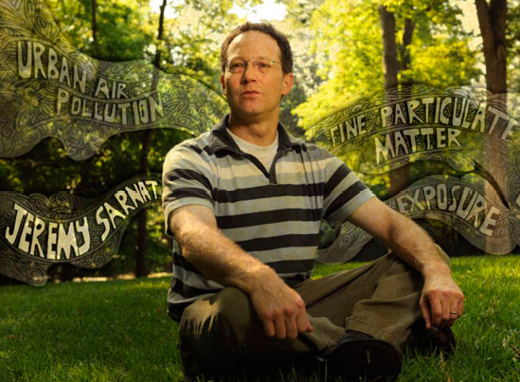 News: "EPA Awards Clean Air Research Center Grant to Emory and Georgia Tech"